Have you lost teeth because of injury, disease, decay, or trauma? Are you interested in replacing your teeth? If so, you have many options, two of which are implants and dentures. Implants and Dentures are both used for tooth replacement. Both can improve your appearance, help with eating and speaking, and boost self-esteem. To understand which is the better solution for you, read the following information below. You may also call Walbridge Dental at 419-836-1033 or contact us online. 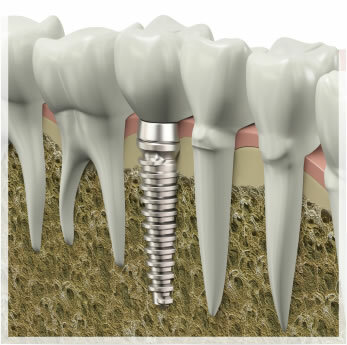 A dental implant is a replacement tooth root. Just like a natural tooth root, it is secured in the jaw and is not visible after surgery. It fuses to your jaw and holds a replacement tooth or bridge. This helps restore chewing function very effectively. An implant can help support other dental procedures, such as crowns, bridges, or dentures. Dental implants are made of titanium, or titanium alloys, which makes them lightweight and very strong. Implants are not for everyone. But if you are in good oral health and interested in replacement teeth, implants may be a positive solution for you. Dentures replace teeth and gum tissue. Dentures are removable; you can take them out of your mouth. Dentures may be a solution for you if you are missing most or all of your teeth. Partial dentures are an option if you want to replace several teeth. Consider your oral health, including the condition of your teeth and gums, before deciding on dentures. If you are thinking about replacing your teeth, a combination of implants and dentures may also be a solution for you. Implants and dentures can be used together, and are called implant-supported dentures. They are an excellent option for someone who has difficulty keeping their dentures stable. Implant-supported dentures are dentures that snap onto implants in the jaw. They are usually made for the lower jaw. Dentures are made more stable with implants, and usually lower-jaw dentures are not as stable as upper-jaw dentures. Require enough bone in the jaw to support implants. 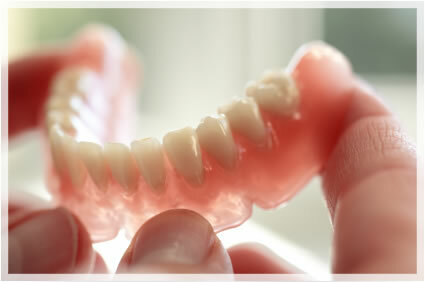 Implant-supported dentures require maintenance and care, just like complete and partial dentures. Remove them at night, clean the dentures, clean the attachments. 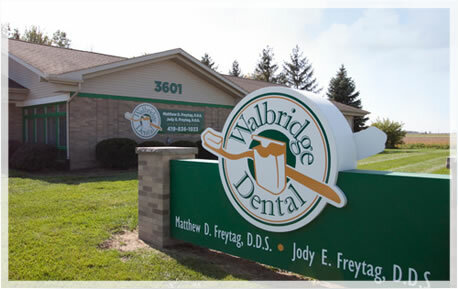 At Walbridge Dental, we care about our patients. If you are seriously considering dental implants or dentures, please schedule a consultation with Drs. Matt and Jody. At your consultation we will discuss options, financial considerations, and what works best for you. Please call us at 419-836-1033 or contact us online.